Given the rainy, windy weather in Cape Town, I wasn’t able to do much of what I had hoped to do. So instead I went on a culinary tour of the city. Now I am about 10 pounds heavier than I was when I arrived five days ago. 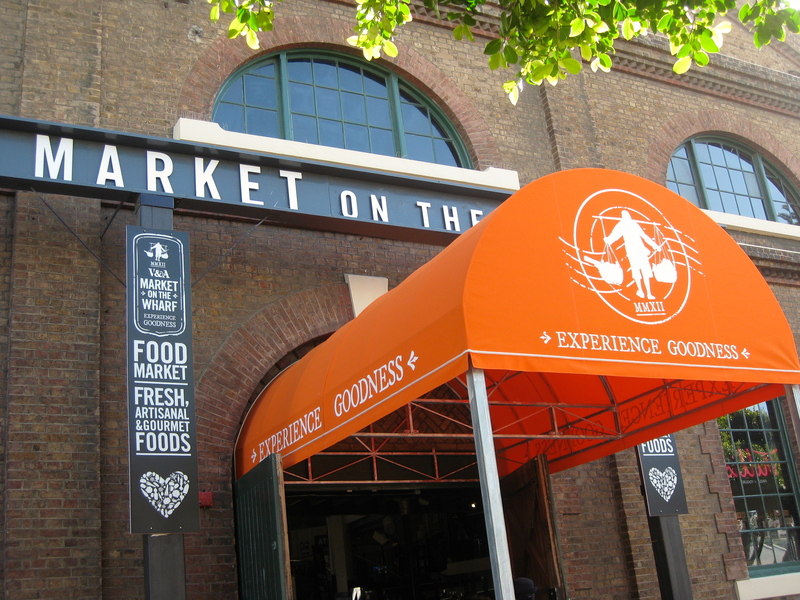 One of my favorite places was a gourmet, artisan food market at the V&A waterfront called Market at the Wharf. Normally, I would dismiss all restaurants in a touristy area like the V&A Waterfront, but this market has character and great finds. It is an indoor collection of small, artisanal food stands ranging from dried spices, bubble tea, Indian food, Taiwanese, Cuban food, a butcher, cheese, etc. 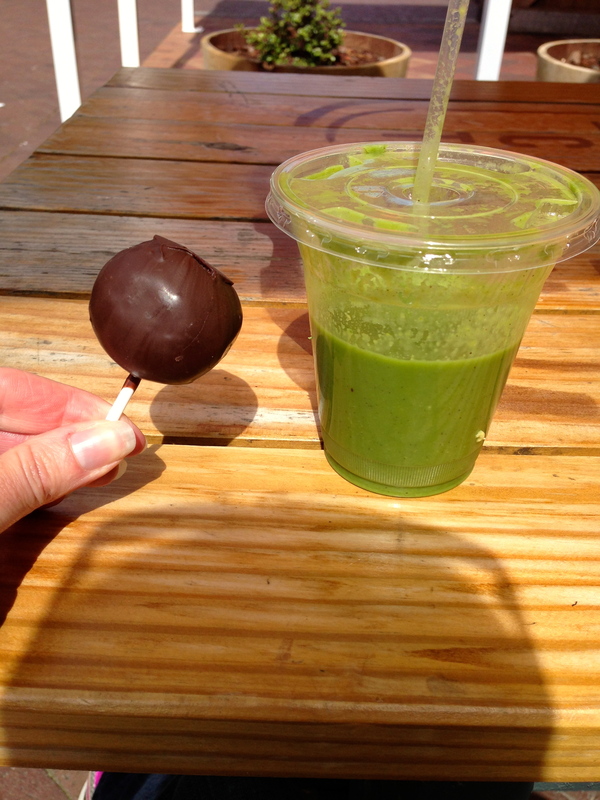 My favorite two items were a 1) Power Smoothie with pineapple, spinach, avocado, apple and cucumber and 2) a chocolate cake pop. I think eating the two together offsets any guilt about a cake pop (or two). Another surprising favorite was Carne SA, a meat lover’s paradise (which I am not). As you walk in, you’re guided to the basement seating area with dim lighting, dark wood and heavy metals, past rooms showcasing various cuts of meat. A man cave, essentially. The waiter brings out a tray of meat and explains the various cuts and how they are cooked. Everything on the menu involves meat except the desserts and sides, with most of the meats being beef with a sprinkling of lamb and game meats. My initial disappointment over not having a salad was soon replaced with joy. 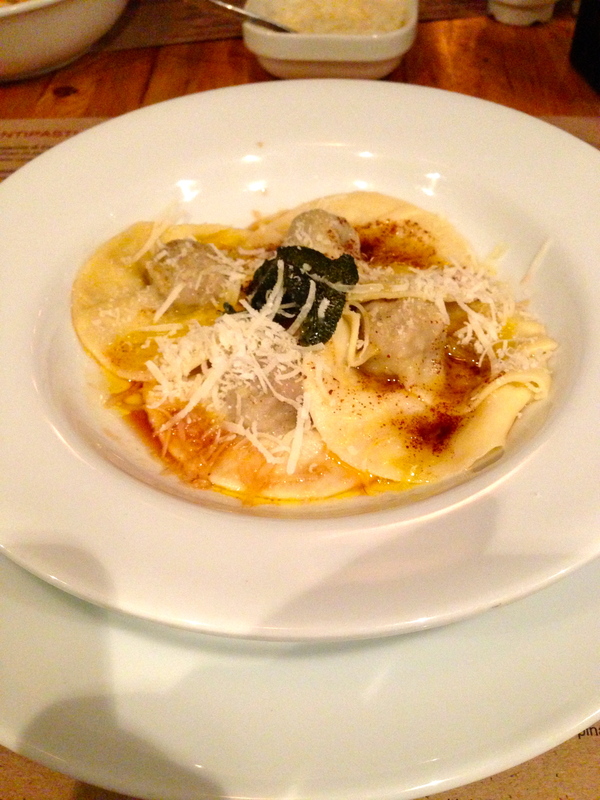 The lamb ravioli was so tender and flavorful. 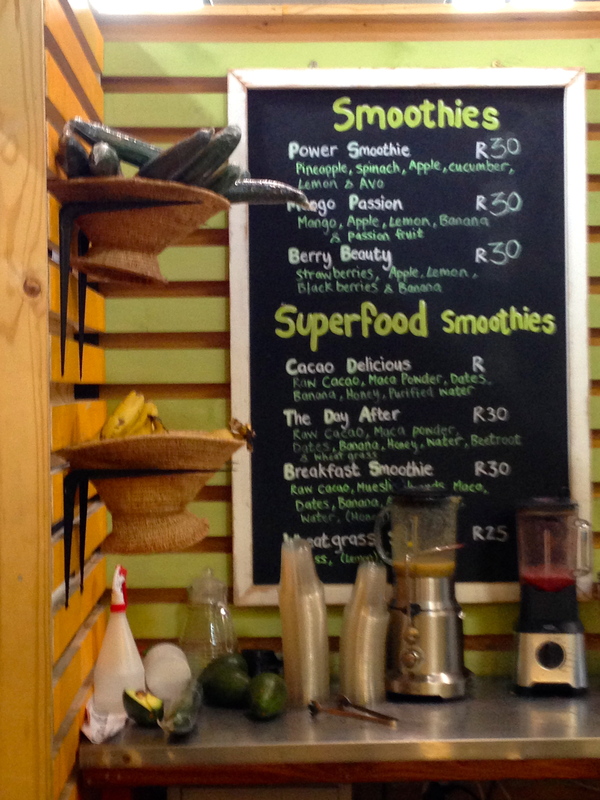 It may be my favorite thing I ate in Cape Town other than the chocolate cake pop. 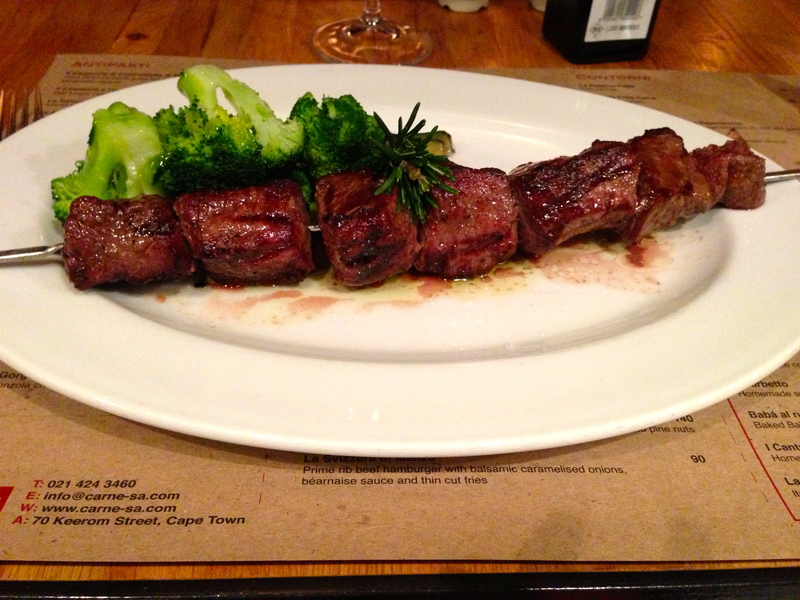 I also sampled grilled wildebeest, kudu (antelope) and ostrich, all of which were great. 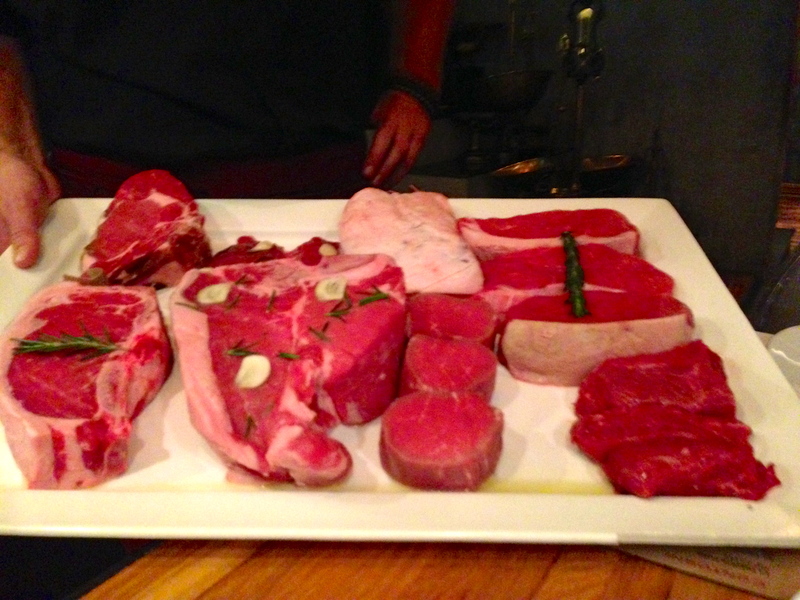 I’m glad I skip Carnivore in Nairobi, since I think had a better (and cheaper) game meat experience at Carne SA. 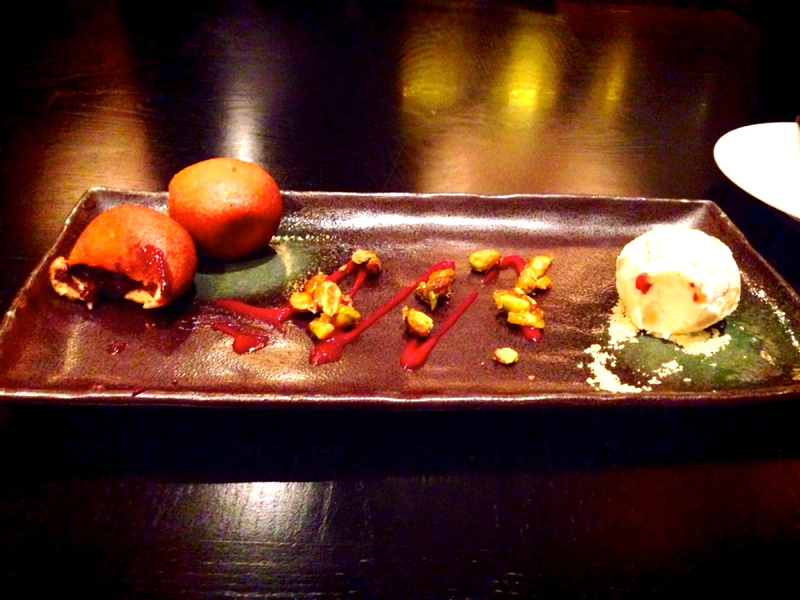 My favorite dessert came from Nobu. The sushi at Nobu was spectacular, of course, and more affordable than Nobu in the US. 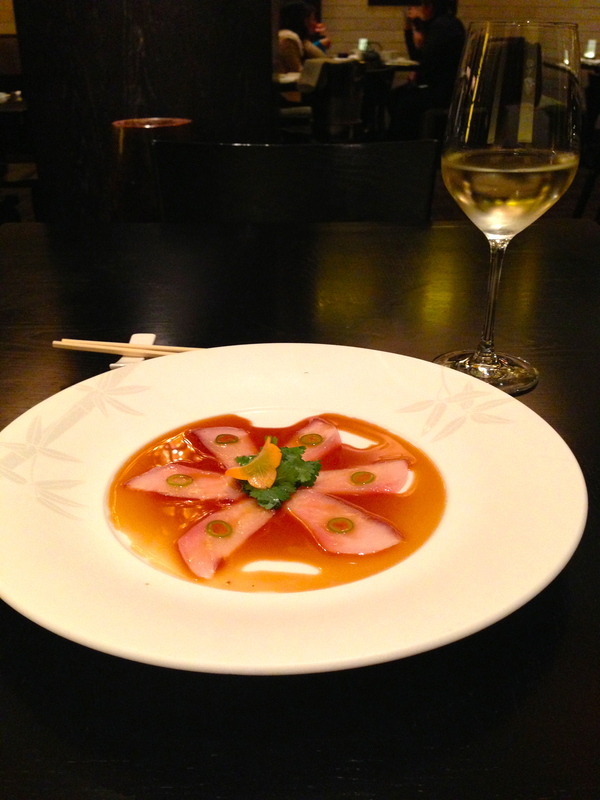 The yellowtail sashimi with jalapeño was particularly good. However, I would have stabbed you if you had tried to steal a bite of this delicious, chocolately dessert. Lastly, I recommend a stop at Bird’s Café for lunch. It’s got a cozy décor with communal tables, and the food is simple yet excellent. 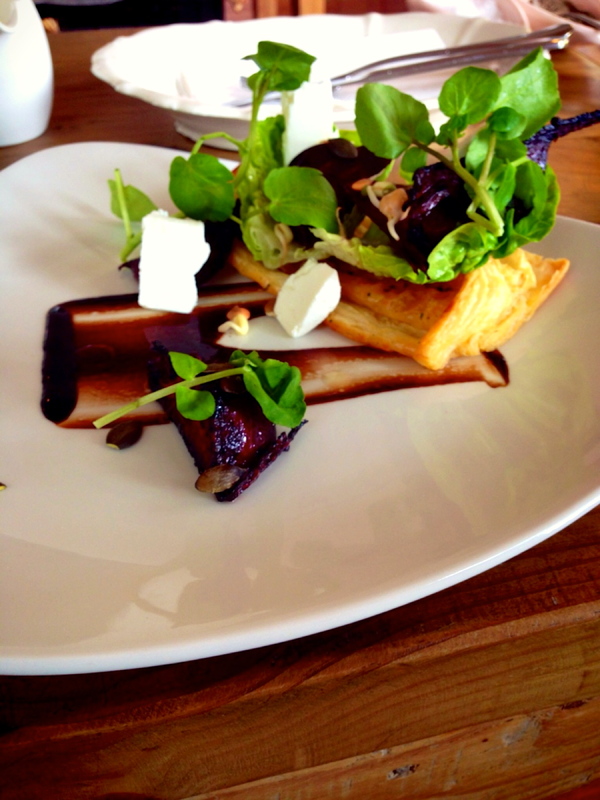 Nice soups to warm you up, and this beetroot tart was delicious. And it has free wifi. Bizerka Bistro excelled on style and presentation, but bordered on pretentiousness. The restaurant is decorated in an elegant black and white décor and handwritten menu chalkboards for each table. However, I was a tad disappointed with the food. Likewise with 95 Kareem, the best thing about the restaurant was the cute waiter who kept bringing me wine. Too bad, because I was really looking forward to both.